There is too much food in New Orleans, a city renowned for its famous chefs and fabulous fare, and too little time to try it all. All restaurants closed after Hurricane Katrina have reopened, along with notable new ones. The old institutions still rule the roost, but new waves of innovative places are also worth seeking out. These New Orleans restaurant prices are for a three-course meal and the equivalent of a half-bottle of wine per person. The 10% sales tax is not included, nor is the customary 15-20% tip. One of New Orleans hottest chefs, John Besh, orchestrates the delicate dishes at the August, located in the Central Business District. Amid lavish brocades and crystal chandeliers, cuisine like Moroccan spiced duck with polenta, halibut with shrimp, citrus and fennel and seared fillet of prime beef with marrow-stuffed morels and oxtail jus are elegantly presented. Telephone: +1 504 299 9777. 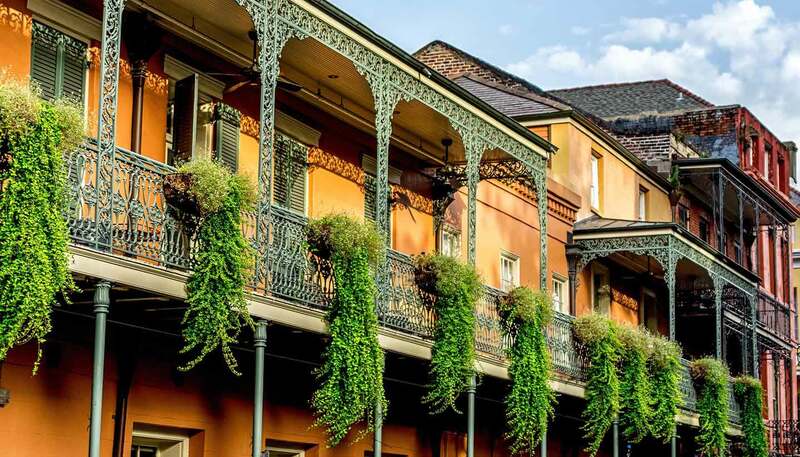 For 125 years, Commander's Palace has been a New Orleans gastronomic favourite, and with such treats as shrimp Cognac with andouille grits, poached oysters in cream or spicy turtle soup, how can it not be? Dine in the blue and mahogany dining room or on the second floor Garden Room where huge windows reveal the patio's giant oak trees. The weekend jazz brunch is good value. A jacket is preferred at dinner. Telephone: +1 504 899 8221. Not much has changed here in the last 100 years. Even now, brass chandeliers and bentwood chairs fill the narrow downstairs dining room and it is still a joy to just chat with the waiters. Most have been here forever or are second generation. Let them recommend the specialities that have made this place famous – crab canapé Lorenzo, oysters en brochette and lamb chops with béarnaise sauce. Telephone: +1 504 525 2021. This restaurant, along with neighbouring sandwich shop Cochon Butcher, is the brainchild of star chef Donald Link and a mecca for, as the name implies, all things pork. Expect down home-style cooking with flair, such as Louisiana pork with cabbage, cracklins & pickled turnips, or, at the sandwich shop, pork belly with mint and cucumber. Telephone: +1 504 588 2123. John Besh is a chef and TV personality with 12 acclaimed restaurants, most in New Orleans. Sitting at the front of the renovated Roosevelt Hotel, this elegant restaurant offers regional Italian cuisine, including wood-fired pizzas. Be sure to jump on anything involving shaved truffles. The late afternoon deals are incredibly good. Telephone: +1 504 648 6020. Hidden away in one of the French Quarter's lesser-known alleyways is this compact eatery. Chef Chris de Barr works miracles in a modest space, fashioning esoteric international ingredients into local favourites with a twist or unusual small plates that will expand your horizons. You can't reserve, so arrive early to avoid a wait. Telephone: +1 504 301 3347. A visit to the Big Easy is not complete without a stop for mouth-watering beignets and chicory coffee au lait. Since 1862, these square, deep-fried fritters doused in mounds of powder sugar have titillated the taste buds of its patrons. There is not much more on the menu except juice, tea and milk, but who would desire anything else? Located in the French Market across from Jackson Square. The Café du Monde shop is across the street. Telephone: +1 504 525 4544. The last of the classic New Orleans dining spots to reopen post-Katrina, this solid diner has regained its position among the tried-and-true spots in the city. Found in a Greek Revival-style building at the end of the St Charles streetcar route, it's a destination that almost always has a line of people waiting to be seated – even very late at night. Telephone: +1 504 309 2679. Locals will tell you that the best spot in town for New Orleans barbecue is this out of the way neighbourhood joint in the Bywater. Run by Jenny and Peter Breen, the restaurant's motto is 'always smokin' and indeed, their barbecue always is. The menu is simple but with intense flavour, and includes ribs, brisket, pulled pork and sausages. Telephone: +1 504 949 3232.